1. Dietrich Bonhoeffer was a Christian theologian. Rather, one should say that he became a Christian theologian. Eberhard Bethge, his former student and biographer, notes the year 1933 as a “transition from theologian to Christian.” In 1936 Dietrich wrote to a girlfriend and confessed: “I plunged into work in a very unchristian way.… [T]hen something happened, something that has changed and transformed my life to the present day. For the first time I discovered the Bible…. I had often preached. I had seen a great deal of the church, spoken and preached about it, but I had not yet become a Christian” (Bethge 2000, 203-5). By his own admission, his two most scholarly writings, Sanctorum Communio (1927) and Act and Being (1930), were written by a theologian who was not yet a Christian. I take the word “Christian” here to mean “disciple” – one who does not merely believe in Christ, but experiences Christ. 3. Dietrich Bonhoeffer was a conflicted theologian. While others perceived in Dietrich self-assurance and even a bit of arrogance, he often experienced self-contempt and even periods of depression in his own soul, or what Bethge, who perhaps knew him best, called accidie or tristitia. These periods often followed times when he had been particularly effective in preaching, teaching or leading others. However, as Bethge recalls, after his arrest and imprisonment in 1943, he no longer experienced these times, as he was gripped by a sense of duty. In spite of enforced inaction, he had finally achieved the concrete discipleship that he longed for (Bethge 2000, 506, 833). 4. Bonhoeffer was a worldly theologian. 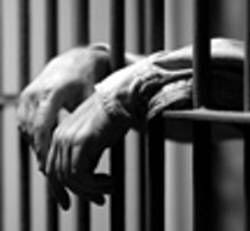 While the “worldliness of Christianity” became a dominant theme in his Letters from Prison, underlying this perspective was his conviction that the God who became human in Jesus Christ abolished the distinction between religion and the world. In his earliest writing he stated that religion is dispensable, God is not. “Not religion, but revelation, not a religious community, but the church: that is what the reality of Jesus Christ means” (Communio 1963, 112). Later, having witnessed the utter failure of the church as a religious institution to act on behalf of the oppressed Jews, he followed Christ out of the church into the world. Only those who live fully in the world have a claim to follow Christ, he wrote from prison. The God of religion whom we seek to call into the world on our behalf, has already entered the world in the form of a suffering God. “The God who lets us live in the world without the working hypothesis of God is the God before whom we stand continually. Before God and with God we live without God” (Letters, 360). The “worldliness” of Christianity is not our invention, but our calling. The ambiguity of this situation, he asserted, is precisely what the incarnation created for us. It is ambiguity that creates prophets. 5. Dietrich Bonhoeffer was a prophetic theologian. 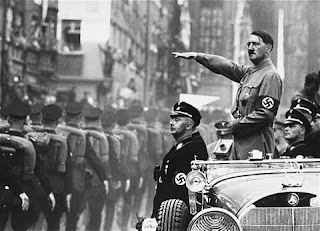 He was one of the first to recognize and point out the disastrous consequences of Hitler’s campaign against the Jews. 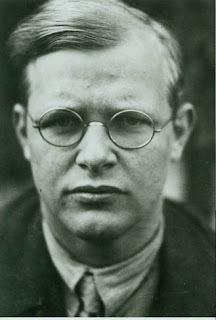 In June 1933, when the church struggle erupted over the National Bishop (Ludwig Müller) and the opposing General Superintendents were suspended, Bonhoeffer urged an interdict upon all pastoral services (baptisms, weddings, funerals, etc.) as a way of confronting the German Christians with their unholy alliance with Hitler. But he could not arouse sympathy for this drastic action. In fact, Barth advised against this radical proposal, suggesting that “we should let the facts speak for themselves.” In September, following the Brown Synod, Bonhoeffer urged the formation of a new Free Church and even wrote to Barth requesting his support. But here again Bonhoeffer was disappointed at Barth’s counsel to wait until the present leaders “discredited themselves” (Bethge 2000, 292). It was in April 1933 in his article on “the Church and the Jewish Question” that he suggested that the only way to act responsibly would be by “throwing a spoke in the wheel” of the national government. Prophets often die by their own words; theologians seldom do. 6. Bonhoeffer was a postmodern theologian. Postmodern ethics was anticipated by Dietrich Bonhoeffer when he turned the “modern” basis for ethics (as advocated by Kant) on its head. He wrote: “In the sphere of Christian ethics it is not what ought to be that effects what is, but what is that effects what ought to be” (Communio 1963, 146). The problem of Christian ethics, said Bonhoeffer, is the same as the problem of Christian dogmatics, the realization of the reality of revelation in and among God’s creatures in the form of concreteness, immediacy, and obedience. In a world where good and evil are mixed, and where ambiguity conceals the divine commandment, the Christian’s ethical responsibility is to follow and obey Christ, not merely to adhere to abstract ethical principles. There is no place for “self justification” by virtue of reliance on predetermined principles for action. “Principles are only tools in God’s hands, soon to be thrown away as unserviceable” (Ethics 1995, 71). 7. Bonhoeffer was a post-denominational theologian. What he viewed as the demise of the church was its claim to a special place as a religious institution and its failure to exist in solidarity with the world in obedience to Christ. His participation in ecumenical conversations and dialogue marked a blurring of denominational boundaries and the recognition of authentic Christian existence in mutual friendship, as expressed in his final words sent to Bishop Bell in England from his death cell: “for me it is the end but also the beginning – with him I believe in the principle of our universal Christian brotherhood which rises above all national interests and that our victory is certain – tell him too that I have never forgotten his words at our last meeting.” Writing from prison, his view of the church’s future was incarnational and ethical in a truly worldly sense. “The church is the church only when it exists for others. To make a start, it should give always all its property to those in need…. The church must share in the most secular problems of ordinary human life, not dominating, but helping and serving” (Letters, 382). Denominations are religious institutions at the edge of the world; the church is an incarnational presence in the midst of the world. 8. Dietrich Bonhoeffer was a practical theologian. Practical theology deals with God’s self-revelation and activity through the life and ministry of human beings. From the early Barth, Bonhoeffer learned that the act of God reveals the being of God. His second dissertation, Act and Being (1930), attempted to bring Barth’s concept of “pure act” into the historical realm through Heidegger. But Bonhoeffer was never a disciple of Barth. True, Barth led him away from idealism into critical realism with regard to divine revelation, but God’s life and activity through the human person Jesus Christ became for Bonhoeffer the praxis of revelation and thus the form of practical theology. His Christology was orthodox so far as Christ is the form of God in the world, but practical so far as the Christian is the form of Christ in the world. Because the former was merely a dogmatic assumption, his own theological praxis was concerned with action prior to reflection – a statement that scandalized his students. 9. Dietrich Bonhoeffer was a maverick theologian. John Maverick was a 19th-century Texas rancher and legislator who received a herd of cattle in payment of a bill and turned them loose on the range without a brand. When one of them turned up without a brand, it was assumed to be one of Maverick’s. Many have tried to mark Dietrich with their own brand, to no avail! He slipped away from the death of God theologians when they realized that the same man who wrote from prison about living in a world without God was the one who invited a Russian atheist fellow prisoner to participate in a final communion service just before being executed. Pacifists put a claim on him but felt betrayed by his admission that he would kill Hitler himself if the lot fell to him as a member of the conspiracy. Evangelicals like his talk about Jesus but wish Bonhoeffer had been more concerned about his unsaved relatives and friends. Social activists applaud him for his concern for the oppressed but are embarrassed by his orthodox Christology. Even in death, as in life, he remained unbranded. 10. Dietrich Bonhoeffer was a martyred theologian. There is disagreement over this, of course. His complicity in the conspiracy thrust him directly into political resistance. In the minds of many traditional Lutherans, this excluded him from being a Christian martyr. In a sermon preached in 1932 he had this to say about martyrs: “the blood of martyrs might once again be demanded, but this blood, if we really have the courage and loyalty to shed it, will not be innocent, shining like that of the first witnesses for the faith. On our blood lies heavy guilt, the guilt of the unprofitable servant who is cast into outer darkness” (Bethge 1975, 155). By his own definition, he was a martyr. He never claimed justification for his actions, other than to assume guilt as a necessary component of responsible action. Whether it was true or not, he thought that his actions, to the very end, were those of a Christian disciple in obedience to Christ. Martyrs live for what they confess to be true, and die for it. Only those who confess the same truth will call a person a martyr. Where, we ask, is God today?